With “shattering prose,” the New York Times–bestselling author of From Here to Eternity captures the intense combat in the battle of Guadalcanal (San Francisco Chronicle). In August of 1942 the first American marines charged Guadalcanal, igniting a six-month battle for two thousand square miles of jungle and sand. In that gruesome stretch sixty thousand Americans made the jump from boat to beach, and one in nine did not return. 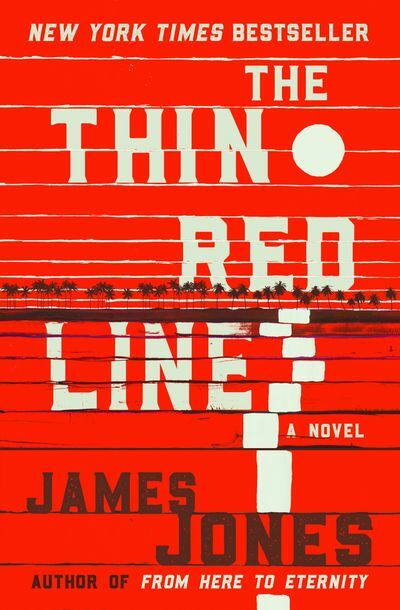 James Jones fought in that battle, and The Thin Red Line is his haunting portrait of men and war. The soldiers of C-for-Charlie Company are not cast from the heroic mold. The unit’s captain is too intelligent and sensitive for the job, his first sergeant is half mad, and the enlisted men begin the campaign gripped by cowardice. Jones’s moving portrayal of the Pacific combat experience stands among the great literature of World War II. This ebook features an illustrated biography of James Jones including rare photos from the author’s estate.